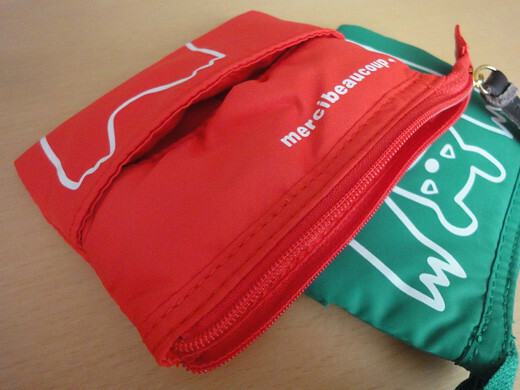 I got 2 colors, red and green of tissue cases from ‘mercibeaucoup’. They just came out from ‘kumadeta series’(‘kuma’ means bear)of mercineaucoup. 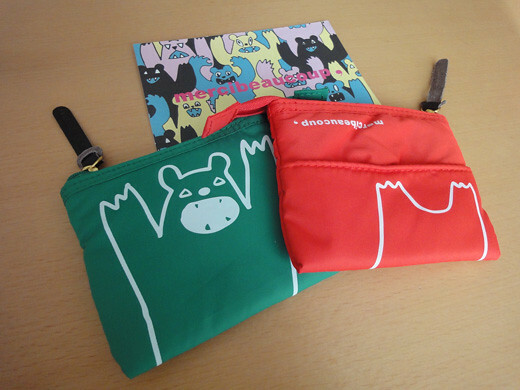 The lovely jumping bear is printed on the squashy tissue cases. Also, it’s so useful, I would like to have one!